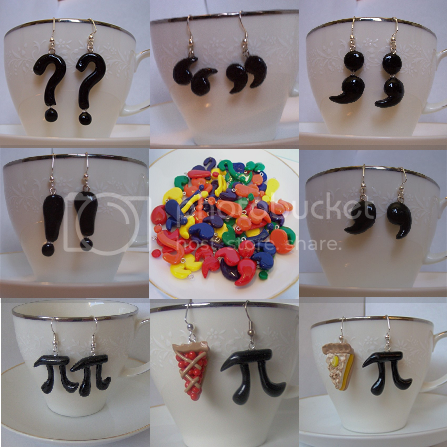 Squeaky Books: Nerdy Jewelry Giveaway! I'm really excited for today's giveaway. I have an AWESOME friend who is super-crafty. Debbie Barr runs an etsy shop where she sells the coolest nerdy jewelry, and you can win some today! This giveaway is international! You can win your choice of anything in her shop under $10. To see all of her stuff, CLICK HERE. And there's a SPECIAL OFFER for Squeaky Books Bash participants! Just enter the coupon code SQUEAKYBOOKS when you checkout, and you'll get 20% off your entire order! COOL, eh?! There will be THREE winners! Coolio, eh? But you have to go to her blog to enter, so click on!